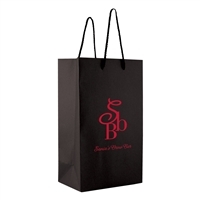 Nothing highlights the special symbolism and generosity of a gift of wine like the bag that accompanies it. Sure, most people will appreciate wine (or any other gift, for that matter) even if it comes wrapped in a crumpled paper sheath from the grocery store, but a true gift should have all the trappings of thoughtfulness and taste that highlight the good intentions of the giver. 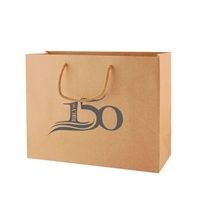 Now you can offer that to your customers with Euro Totes. Just the name conjures up images of beauty and class, doesn’t it? For centuries, European tastes and history have defined our traditions of hospitality, gift giving, hosting and attending events, so it makes sense that those same sensibilities should inform the presentation of a gift. 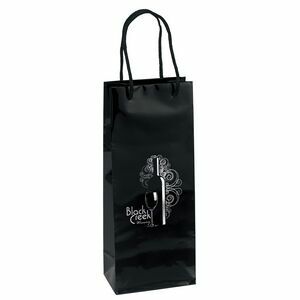 Euro Totes, with their many color and size options, are a perfect way to complement the gift of wine. But how to choose? First, think about color. 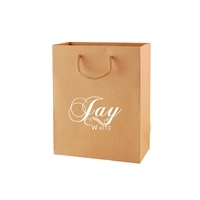 The color of wine bag you offer at your store or business should work with your brand’s color scheme. 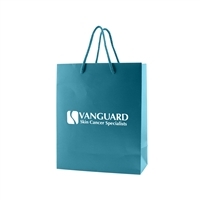 If your logo, business cards, pamphlets, website and storefront banner all use brown and red, it makes no sense to choose a turquoise Euro Tote for gifts to clients or wrapping for customer purchases, now does it? 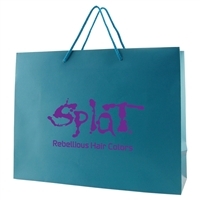 Instead, choose a bag that is in line with your theme. 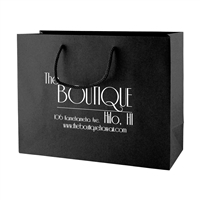 If you have a difficult color scheme to match, no worries: opt for black or white, and let the logo do the talking. Second, size. 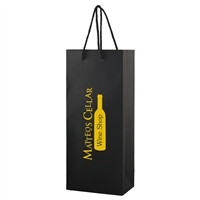 If you want to pack two or even more bottles of wine in a single bag, then the traditional narrow construction won’t work. 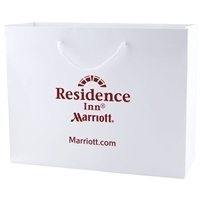 If, on the other hand, you’re actually using your Euro Tote for convention offerings, party favors or small gifts, you might steer away from wine-sized bags altogether. It’s up to you and what you want to do with it. Lastly, keep overall style in mind. 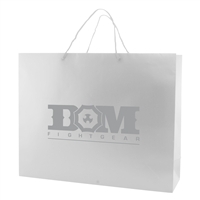 If you’re going for something flashy, you might want a high gloss bag that really stands out. 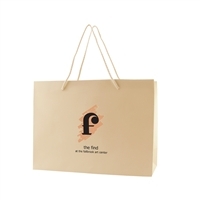 Matte bags are a more understated option, as are those made of natural kraft paper with the traditional brown shopping bag appeal. Whatever you choose, match it to the tone of your event, the dress of your customers or attendees and the way you want people to remember your brand. Keep in mind that a Euro Tote (and any bag, really) should be sturdy, so that people can safely carry wine or other items around in it all day or even all week. That’s why ours are made with thick draft paper and have cotton blend macrame handles along with reinforced fold-over tops and cardboard bottom inserts. 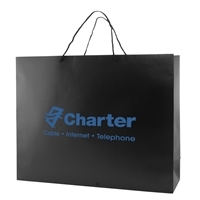 This ensures bags hold up for a long time, so recipients can re-use them and your logo gets shown about town for longer! 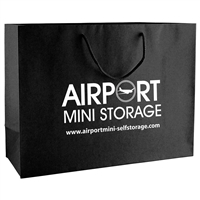 Okay, so you’ve got your bags, and now you’re wondering how best to present their contents. It’s okay to be confused; not everyone was born with a silver thumb (it’s kind of like a green thumb, only for excellent wrap jobs). 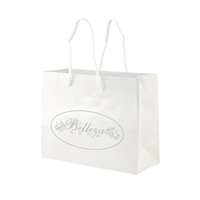 For regular workaday wrapping, you can simply insert wine into a bag and hand it off to your customer. 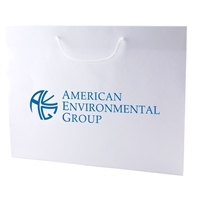 At big events, where you want to make an impression with swag or course materials, you don’t need anything fancy either … the contents can do the legwork. 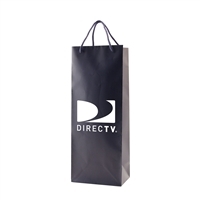 If you’re going for true present appeal, however, then check out How to Wrap Presents in a Gift Bag for Dummies . 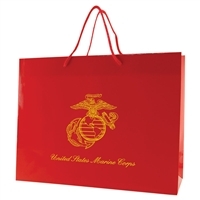 It covers steps such as using tissue paper and gift tags, protecting fragile items (wine certainly counts! 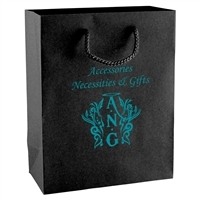 ), what kind of surface you should use and how to insert the gift for the best effect. Anyone working at a home wares shop take note! This strategy is also good for brides and grooms planning favors and businesses thanking clients and customers for their patronage. Of course, an abundance of tissue paper might not be so good for a convention or a trade show, so pick and choose the right moment to whip out this new skill. 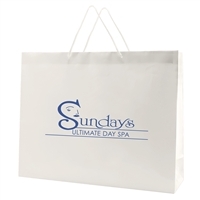 Most of your customers will love the class of your Euro Tote bags just as they are, but there’s always a way to make their gift better. 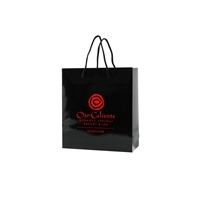 To sweeten the deal, insert a little card offering ideas for storing and reusing their gift bags. That way their gift recipients not only get a charming present for a holiday, birthday, dinner party or housewarming … they also get a little value-added tip on decluttering their homes, reusing and recycling pretty items, and getting the most out of their present long after the last drop of wine has been consumed. Need ideas? No problem. 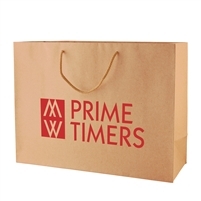 The Unclutterer is here to save the day with ideas on how to store gift bags at home in a wrapping station that is always tidy and always accessible. Think storage totes, file drawers and open-ended pants hangers that suspend bags in a closet. Or come up with your own unique ideas. 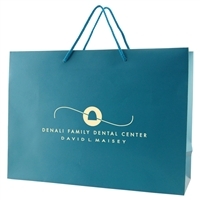 It’s always fun to offer clients a little something extra, and it’s definitely green to help people see all the reasons to keep that bag instead of throwing it away. Plus, you get to make a name for yourself as someone who goes that extra mile to help friends, students, attendees, clients, customers, employees or business partners feel respected, valued and love. What could be better than that?